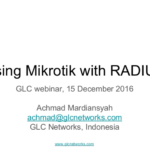 In this webinar, we started the discussion from the introduction of radius, AAA concept, and typical RADIUS implementation. 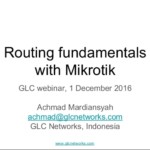 We then move forward on example configuration on NAS (to connect to radius), radius server (to allow NAS query the RADIUS server), creating services on radius server, and last create account on radius server. 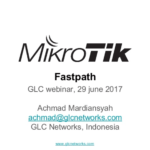 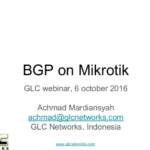 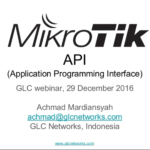 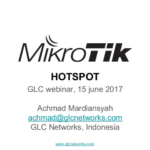 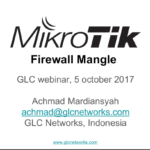 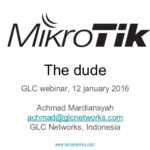 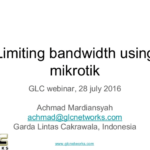 At the end of presentation, we discuss about the benefits of using GLC radius compared to traditional radius server.